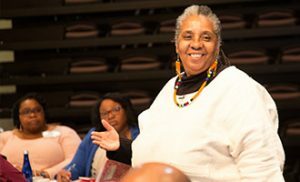 This public conversation will explore the ethics and complex politics of race and religious freedom by centering the issues, narratives and experiences of African Americans in the United States. 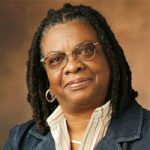 This program is the second in a series of public events exploring the politics of religious freedom through our “Religious Freedom: African American Perspectives” project. During this program, participants will hear from scholars, practitioners and community leaders who are making invaluable contributions to this critical discussion. This program is also designed to encourage participants to think through practical ways to take action around religious freedom issues in their community. Participants will engage in small group discussions, a community talkback session and explore opportunities to think through next steps together. 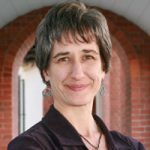 Tisa Joy Wenger, Ph.D., is associate professor of American Religious History at Yale Divinity School as well as of American Studies and Religious Studies at Yale University. 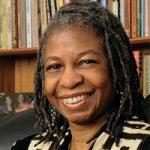 She is the author of “Religious Freedom: The Contested History of an American Ideal” (University of North Carolina Press, 2017). 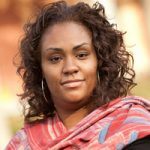 Teresa Smallwood, J.D., Ph.D., associate director for Public Theology and Racial Justice Collaborative at Vanderbilt University. 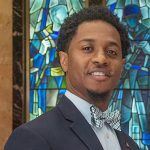 Alphonso F. Saville IV, Ph.D., Andrew W. Mellon postdoctoral fellow for the Study of American Religion and Slavery at Georgetown University. 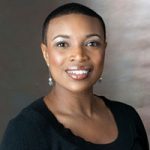 Faith Harris, D.Min., (moderator), assistant professor of Theology and director, Johnson A. Edosomwan Center for Faith, Leadership, and Public Life at the Samuel DeWitt Proctor School of Theology. 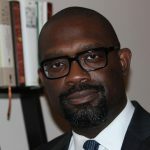 Itihari Toure, Ed.D., director of the Sankofa Center for Data Evaluation and Quality Enhancement at Interdenominational Theological Center. 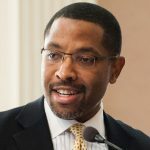 Charles Watson Jr., M.Div., director of education for the Baptist Joint Committee for Religious Liberty. 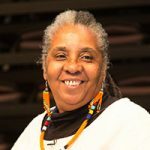 Mandisa L. Thomas, founder and president, Black Nonbelievers, Inc.
Iva Carruthers, Ph.D., general secretary of Samuel DeWitt Proctor Conference, a social justice network that engages progressive African-American faith leaders. The Rev. 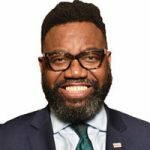 Thomas Bowen (moderator), director of the Office of Religious Affairs in the Executive Office of the Mayor of Washington, D.C., and interim director of the Mayor’s Office on African American Affairs and the Commission on Fathers, Men and Boys. 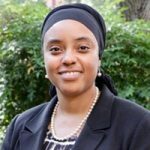 Rahmah A. Abdulaleem, Esq., executive director, KARAMAH: Muslim Women Lawyers for Human Rights. 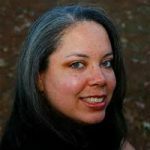 Charity L. Woods, co-founder and managing director, Interfaith Voices for Reproductive Justice. 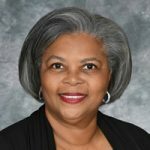 Shavon Arline-Bradley, M.Div., founding principal of R.E.A.C.H. Beyond Solutions LLC, a public health, policy/advocacy, faith and executive leadership firm. The Rev. William H. Lamar IV, M.Div., pastor of Metropolitan African Methodist Episcopal Church in Washington. Corey D.B. 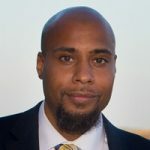 Walker, Ph.D., visiting professor at the University of Richmond and senior fellow, Religious Freedom Center of the Freedom Forum Institute. 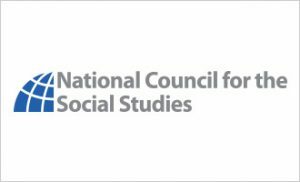 The Religious Freedom Center of the Freedom Forum Institute will host the National Council for the Social Studies (NCSS) Summer Religious Studies Institute at the Newseum in Washington, D.C. The program, to be held July 9 – 11, 2019, will convene K-12 public school educators in the nation’s capital to explore issues of religious freedom and diversity in the classroom. Educators will learn about religious studies as an academic discipline, and have the opportunity to develop working relationships with leading religious studies subject matter experts and curricular resource providers. The NCSS Summer Religious Studies Institute is limited to 60 participants. For more information and to register, please visit socialstudies.org. This three-session intensive will give local interns the opportunity to learn about the role of religion in public life while exploring our three areas of competency: religious liberty, religious literacy, and civil dialogue. We will host the interns on three Fridays during the month of July. Participants will be introduced to experts who are actively engaged in addressing these issues in their local and national context. The registration period is now – June 30, 2019. The registration cost is $40 per person which covers all three training sessions. For questions, please contact Dr. Sabrina Dent, director of programs and partnerships, at sdent@newseum.org. The registration cost is $50 per person for these training sessions. Seats are limited. Registration is required. For more information, please contact Blair Forlaw at bforlaw@newseum.org. 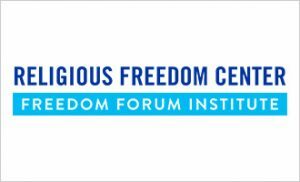 The Religious Freedom Center of the Freedom Forum Institute will host the Summer Religious Studies Institute at the Newseum. The program will convene K-12 independent school educators in the nation’s capital to explore issues of religious literacy, civil dialogue and the challenges and opportunities of navigating religious diversity in the classroom. Educators will learn about religious studies as an academic discipline and have the opportunity to develop working relationships with leading religious studies subject matter experts and curricular resource providers.